FOR-A color correction applies technology developed for DCC series color correctors, used for color correction and other signal processing. 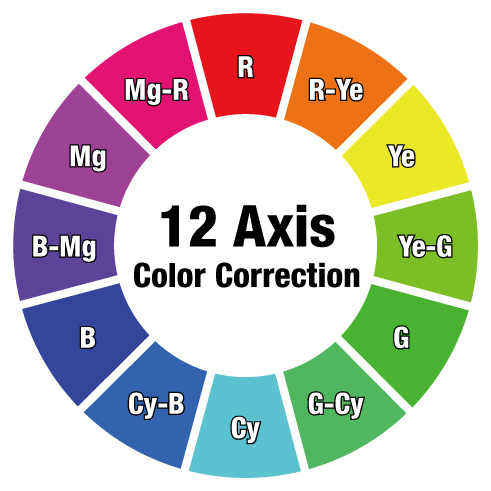 12-axis color correction by the DCC-7000 enables correction on 12 axes consisting of R, G, and B, complementary colors of C, M, and Y, and intermediate colors. This advanced correction is also used with high-speed FT-ONE cameras. Even the intuitive, dial-based operation of DCC series units is available with FOR-A signal processors. 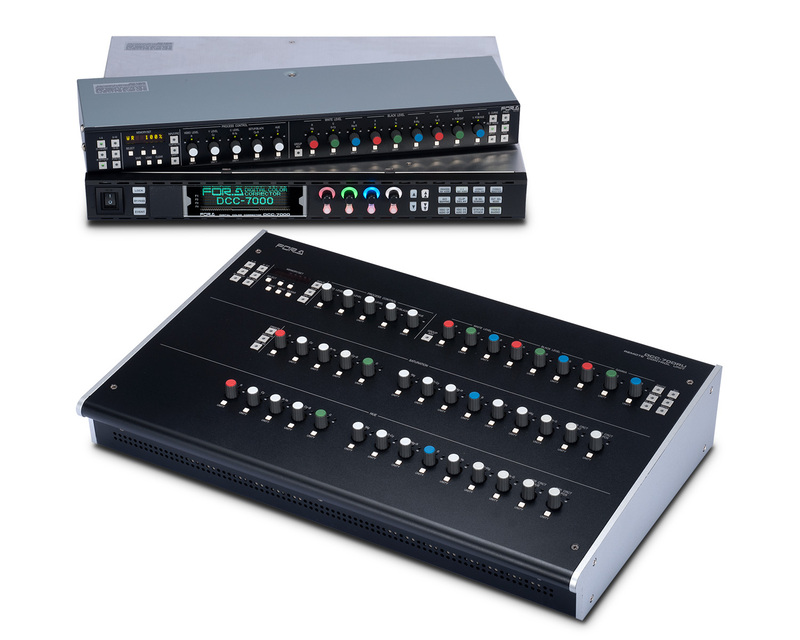 Remote control units for the signal processors include the versatile FA-95RU and FA-10RU as well as the FA-10DCCRU, designed especially for color correction. Operations on the FA-9500 and FA-9520 can also be performed directly from the front panel. For all models, color correction can be configured from a computer. In addition to the three color correction modes available in the FA series, red, green, and blue levels can be adjusted separately within white, black, and gamma adjustment parameters.